Denzas love for Hardstyle goes way back to his childhood, after a couple of releases, Industry titan Marcel Woods discovered Denzas talent and signed him at one of the worlds most renowned Hardstyle labels, Dutch Master Works. 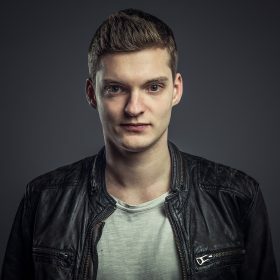 From there Denza started to develop his sound – Euphoric Hardstyle – which reached the well-trained ears of Q-dance, Scantraxx, Be Yourself Music but also Fausto, Kutski and numerous other hard dance artists who applauded his strong productions. Since a year, Denza is welcomed to #1 hardstyle label Dirty Workz, Denzas name willshine among top-notch names like Coone, Hard Driver, Da Tweekaz and Josh & Wesz on the roster of Belgian Hardstyle behemoth Dirty Workz! Since that day this producer has been honoured to officially remix Gareth Emery and Denza made it to the main label of DWX, promising big things for the future! Are you interested in booking Denza? Click here or email us via info@makeyoudance.nl!